I don't know about that Mike, I bet we see 300 wins again. Realistically, Brandon Webb comes to mind as a candidate for that milestone. IF anyone can pitch long enough to do it Roy Halladay can and if you think about it, he had a couple of injury shortened seasons that if healthy he would at least at 150 if not beyond it. 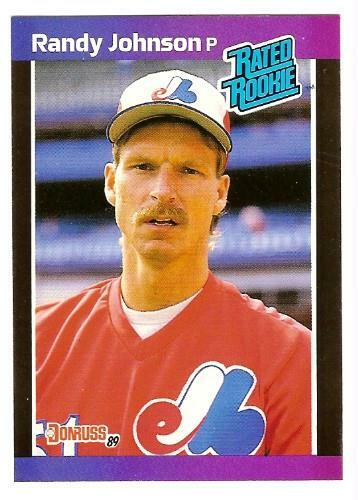 It'll take a while to prove I'm right, but I'll bet Randy Johnson is the last one. Don't forget, Halladay is 31 years old. He'll have to stay healthy, pitch another 10 years and average close to 20 wins a season. I agree, 300 wins is going to go by way of the 70 goal season in hockey, if you see it, its going to be a rare treat, but I don't think its going to disappear, it will make more special when someone acheives it. I could see Halladay pitch till hes mid 40's, he knows how to pitch, he could turn to junk balling it if he had to later in his career and win 12 games for a few years at the end like Jamie Moyer and Tom Glavine. I think the other factor is teams are so damn careful, don't bring them up too early, don't want to ruin them early, a lot of those 300 winners I bet were pitching in the bigs by 20,21,22 years old and never looked back. 300 wins is an inclusive club but if you were good you can reach it. Now 250 will be the new 300 because of 5 man rotations and releife pictures. It's sad in a way but they are ruining picting stats while escalating hitting stats. I mean 500 home runs means very little nowadays. I remember what a deal it was when Gaylord Perry pitched his 300th win. It was something special then.